Celtic Gent Irish mens tweed clothing collections of tweed jackets and waistcoats are a fusion of master tailoring, with stunning design and fit, delivering beautiful clothing to you rich in history and traditional tailoring techniques. 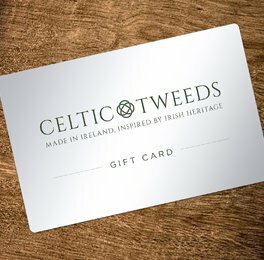 Our philosophy is to give our customers a piece of Ireland, and an heirloom to cherish for generations. We are passionate about tailoring and craft, from our base in Balbriggan we design our jackets, choose our cloths trims and linings, and then go to the tailoring rooms here to have our dreams turned into patterns, and ultimately finished garments which have been cut by hand. Our love of sharp tailoring, beautiful finishes contemporary cuts, unique fabrics, drives us to make a jacket you will want to keep forever. We are confident you will find something to love in our ready to wear collection but if not we will make it for you. Navy and REd pattern silk scarf. W B Yeats Blue Slim Fit.